The 10 Best Historic Theaters in New York! From the glittering lights of Broadway to community productions in Upstate, New York’s drama production industry has always been the star when it comes to live performances in the U.S. Thus, it’s simple to assume that the state has an amazing list of impressive historic theaters. And that’s definitely the correct assumption, as the historic theaters throughout the state could easily continue past a listing of ten historic theaters. Here are ten notable theaters to view live performances throughout the state. Built by George Eastman in 1922 at the University of Rochester, New York, this gilded theater originally seated more than 3,000 audience members and had a dazzling, 35-foot chandelier. Though it has since been renamed, renovated, and updated, the theater still features luxurious interiors. The Hudson Opera House was first built in 1855 and though it was initially used as a theater, it was later used for various public service offices. In 1992, the Hudson Opera House was recognized by the community and was restored and reconstructed. The newly renovated theater was re-opened in 2017 and now shows live musical performances, workshops, and theater. Stepping into the Radio City Music Hall easily takes a first-time visitor’s breath away with its Art Deco design. The Radio City Music Hall is exceedingly popular to visit over the Christmas period to catch a performance of the famed Rockettes and their perfectly synchronized high kicks. Radio City Music Hall was opened during the Great Depression by John D. Rockefeller, Jr. as a theater meant to liven up the city during a difficult time. The Palace Theater first opened in 1913 and quickly became one of the most significant vaudeville theater in the U.S. Performers that previously graced the stage included Harry Houdini, Judy Garland, Bette Midler, and Diana Ross. The Palace Theater still headlines some of the best musicals on Broadway. The Lyceum Theater is Broadway’s oldest continuously operating theater, with its doors first opening in 1903. When walking through New York City’s theater district, the Lyceum Theater’s façade is easy to spot, as the stone front is ornately designed with six carved columns. With red velvet curtains, luxurious box seating, and ornate ceilings, you might be tempted to look away from the performance… even if only for a moment. Kings Theater originally opened in 1929 as a movie theater and performance hall. The St. George Theater opened in 1929 as the most glamour vaudeville cinema on the island. It featured ornate architecture in the Spanish and Italian Baroque styles, a Wurlitzer organ, and a grand staircase. After decades of use for other purposes, the St. George Theater was purchased by a not-for-profit organization in 2004. It has since been restored and re-opened as a theater. Just re-opened after decades of use for other purposes, the Hudson Theater is now considered the oldest theater on Broadway, although it hasn’t been in continuous use for performances. Originally opened in 1903, the Hudson Theater saw the likes of Elvis Presley and Louis Armstrong performing, as well as having the first female theater producer on Broadway, Renee Harris. Now patrons can see it as it once was, as it recently reopened as a theater after careful restorations. Proctors opened to 7,000 patrons just after Christmas in 1926. This magnificent theater was opened during the height of vaudevillian theaters by Frederick Freeman Proctor, who had opened numerous other theaters throughout the northeast. The theater was designed with Italian Baroque and Egyptian details and featured carved plaster, a glass chandelier, and gilded details. Later, Proctors was added to the National Register of Historic Places following its rejuvenation in 1979. After further more recent renovations and additions, Proctors now features a school and frequent performances. This theatre venue opened in 1923 and since that day has continued to offer the very best in film and live productions. Patchogue survived a fire in 1958 and has been going strong ever since then. 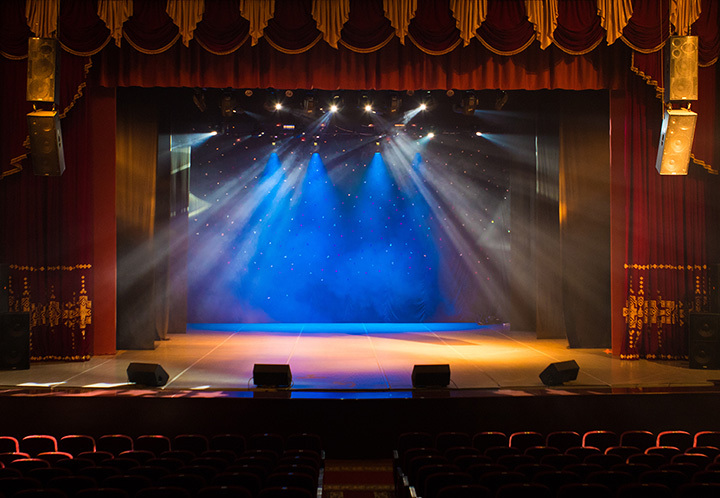 With additions and updates installed along the way, the Patchogue Theatre is sure to impress. View more New York Theaters and Playhouses.